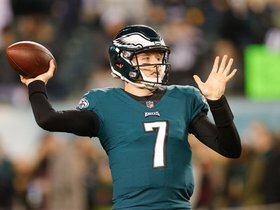 Analysis: Sudfeld will receive approximately $3.1 million for 2019 and then have the chance to become an unrestricted free agent next offseason. 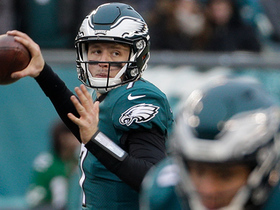 The Eagles' decision to use a second-round tender instead of an original-round tender suggests they view Sudfeld as the unquestioned replacement for Nick Foles in the No. 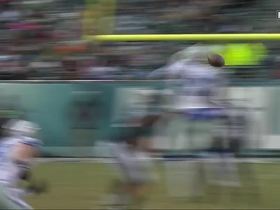 2 quarterback role. 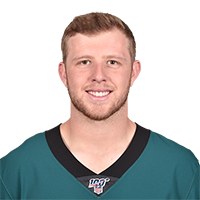 Analysis: With Nick Foles off to Jacksonville, the Eagles decided to lock down at least one backup option for starter Carson Wentz. 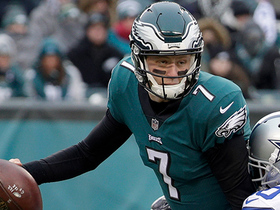 The Eagles still could bring in another quarterback, but Sudfeld currently is the No. 2 in Philadelphia. 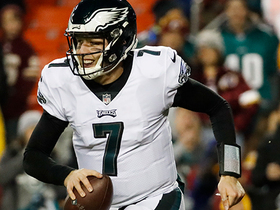 NFL Network's Nate Burleson explains why Philadelphia Eagles quarterback Nate Sudfeld is the player who won Thursday night. 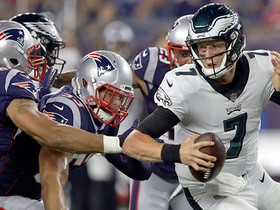 NFL Network's Tom Pelissero talks about how the Eagles have used QB Nate Sudfeld to help them prepare to face Patriots QB Tom Brady. 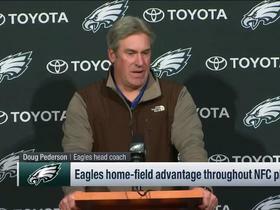 NFL Network Insider Ian Rapoport and Mike Garafolo discuss the possibility of Philadelphia Eagles head coach Doug Pederson benching Nick Foles if he fails to perform in the playoffs. 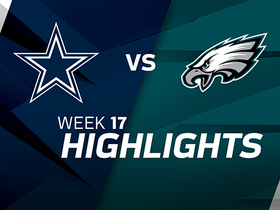 Philadelphia Eagles quarterback Nate Sudfeld throws an incomplete pass on fourth down as Dallas Cowboys cornerback Bene Benwikere breaks it up. 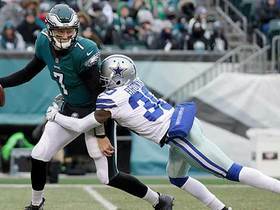 Dallas Cowboys cornerback Anthony Brown comes in from his corner spot to sack Nate Sudfeld. 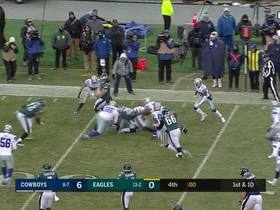 Philadelphia Eagles quarterback Nate Sudfeld escapes the pocket and finds running room as he shows off his speed on a 22-yard run.